Caitriona is a solicitor with the Healthcare team at Hayes Solicitors. She specialises in medical and dental malpractice actions and acts on behalf of public hospitals and private clinicians. Caitriona is experienced in representing clients in the Circuit Court, High Court and Court of Appeal. She also has experience representing clients in the Coroner’s Court and acting for clients in relation to Judicial Reviews. Medical Negligence - Represents hospitals and private medical practitioners in the defence of medical malpractice claims such as surgical errors, hospital administration errors and misdiagnosis. Caitriona also has experience dealing with nervous shock claims brought by a parent or partner who has witnessed the death or near death of a family member. She also has experience of dealing with claims arising from birth injuries and fatal injury claims. Medical Product Liability - Experience litigating cases with a medical product liability aspect such as surgical instruments left in situ post-surgery and the insertion of a faulty joint replacement. Mediation & Negotiation - Assisted in resolving a complex fatal injuries action and a catastrophic injury claim through mediation with an associated nervous shock claim and a high value injury at birth case. Caitriona also negotiates settlement of medical and dental malpractice claims on behalf of public hospitals and private practitioners. 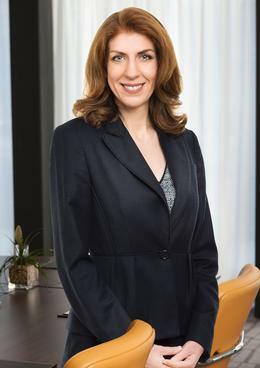 Plaintiff litigation - Caitriona has experience representing Plaintiffs in a wide variety of medical negligence and personal injury actions including the loss of use of a limb due to a work related accident and disease litigation cases.